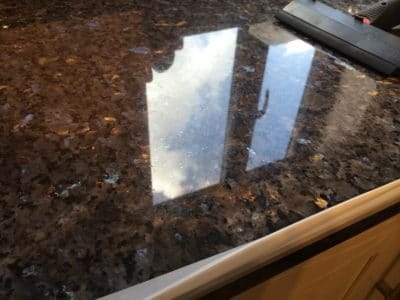 After a kitchen renovation in a house the builder tried to polish out scratches he left on the Blue Pearl granite work top. The attempt failed and the insurer called us to restore the work top. An attempt by a builder to remove scratches he left to the kitchen top left an ugly patch of scratches in the stone. 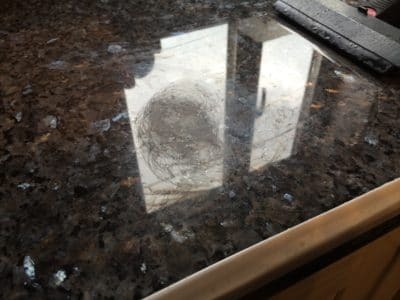 After polishing the stone back to it's original shine there is no evidence of any past damage.